Crabapple trees in flower are a sight to behold. 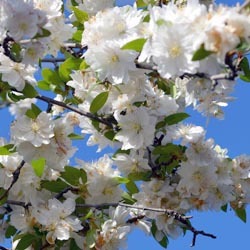 They are the showstopper trees of spring, and are compact enough to fit in nearly any size, shape or style of landscape. But how will you pick the variety that is best for you? The unrivaled spring beauty of these trees can take your breath away, as they frequently bud in one color but the flowers open in another, which can create a glorious variegated effect. To add to their appeal, they perform again in the late summer or fall with a fabulous display of hanging, showy fruit that wildlife loves. Crabapples are available in a range of flower petal colors that include white, pink, red and all shades in between. Flower forms may be single or semi-double with some varieties being fragrant. Selections may be made for fall fruit size and color, including shades of green, yellow, orange, bronze, red and purple. Crabapple trees are also available in a variety of leaf color, size and growth habit to accommodate a landscape of any style and size. Apple Scab: This disease manifests as unsightly dark lesions on the leaves and fruit and will cause premature leaf drop. Cedar-Apple Rust: This blight presents as yellow spots on the upper side of the leaves early in the season, followed by orange rust spots on the underside of the leaves in the late summer. This disease will cause premature leaf drop. Fire Blight: This infection gives new shoots the appearance of being scorched by fire and the fruit will look dark and shriveled. Powdery Mildew: This common disease will cause the leaves to be deformed and give them a white, powdery appearance. There is, however, good news. 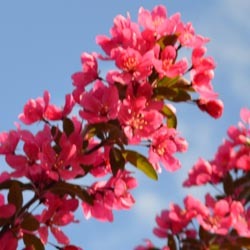 You can plant a crabapple today without hesitation, because we carry crabapple selections with an excellent degree of disease resistance. 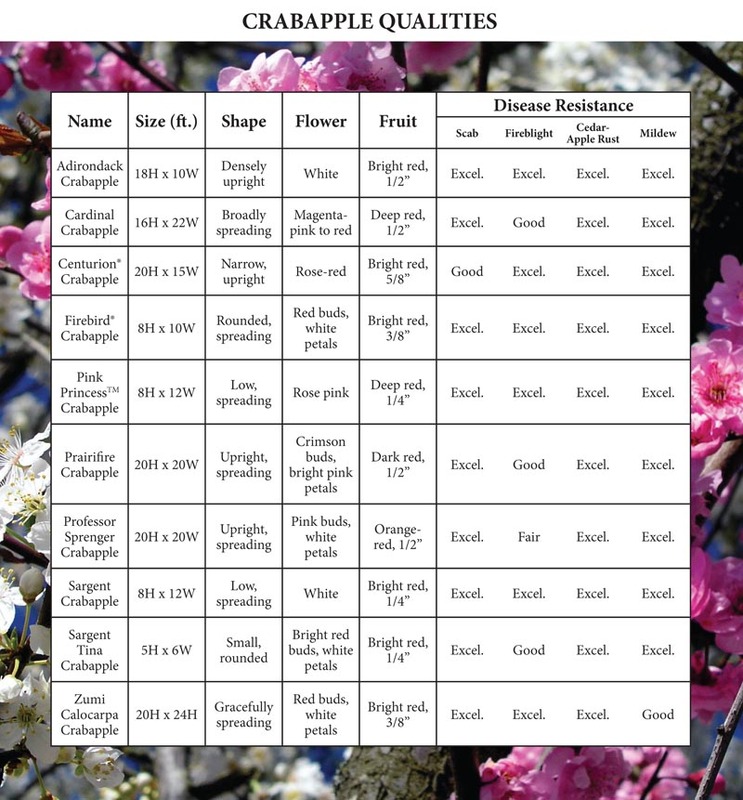 Here is our list of the top 10 stunning crabapples with the best disease resistance. We may not have all of these varieties in our current inventory but we certainly have a great assortment on hand for you to choose from. Stop in today to see which varieties we have available or what other cultivars we may be able to recommend for your exact landscaping needs and preferences.